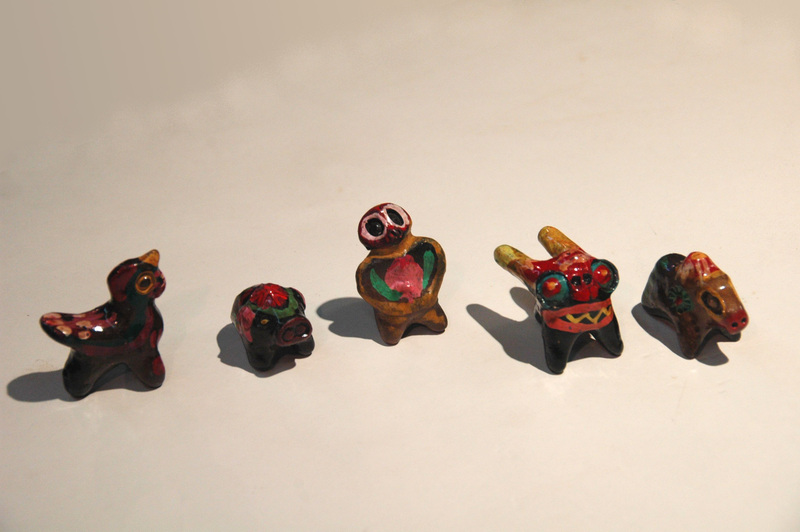 This is part of a set of the zodiac animals clay gu gu toy. They are called gu gu because they are whistle toy and makes “gu gu” sound. Traditionally families would gather to hand build them together after the harvest season in the winter. 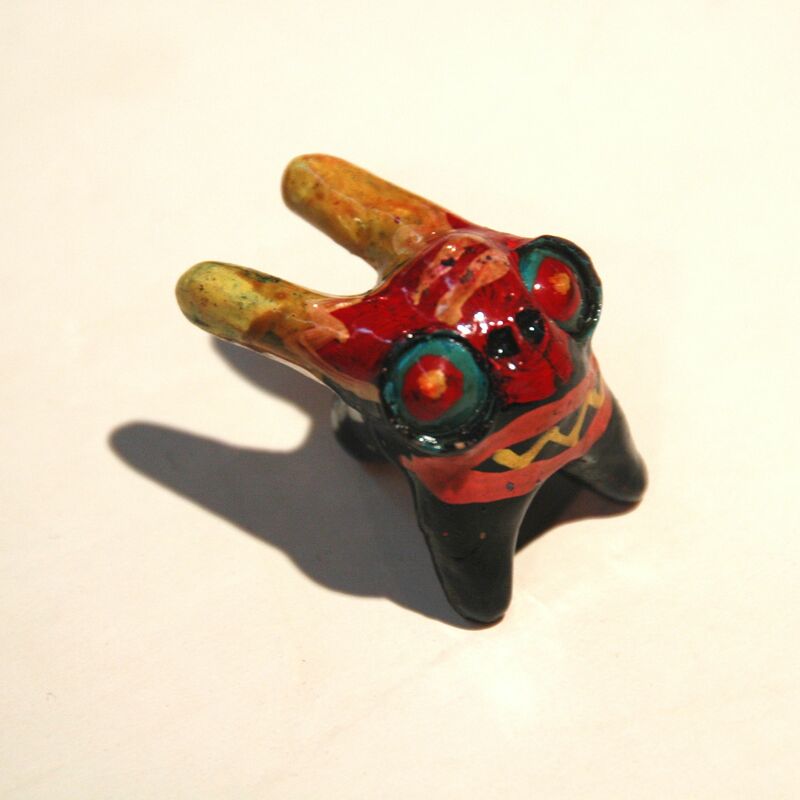 The gu gu normally has a black base colour and highlighted with bright colours but unlike the other clay toys they are glazed and then fired. Happy Halloween!